The Digital Offline sales of Buy Yourself protect your stores against stock breakages, allowing your shop assistants to close the sale on any other channel on the go. Make preorders at other stores by automating notifications among shop assistants and notifications to your customers. Redirect the sale to the e-commerce, use also the BY E-commerce module to enhance omnichannel. Give your customers flexibility to choose how they prefer to pay for their online purchase in store: in cash, with a card or through a secure online form. We automatically create stock movements, tickets and cash inflows or outflows into your POS software, depending on how the sale is paid. The App for Shop Assistants of Buy Yourself can work as a mPOS, allowing to pay by card anywhere in the store. 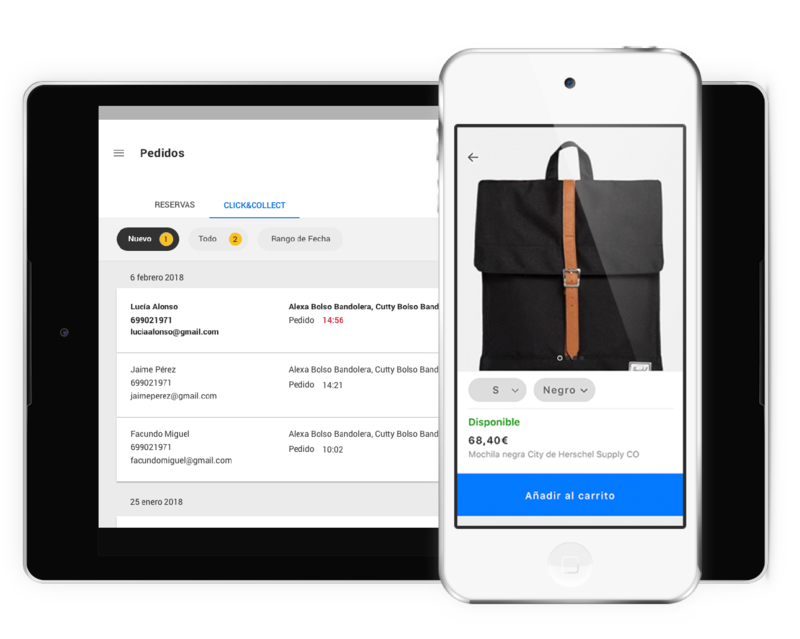 Enhance this functionality with the App for customers of the BY Checkout Experiences module, in order to accept mobile payments and capture data about the products your customers buy in all your channels.